Happy August and hi from Queens! We’ve been here in our new apartment for about two and a half months now. It’s been fun decorating a new space and exploring a new neighborhood, and we love our new second floor sunset views. Being in a well kept building with a nice landlady is pretty sweet, too. And yes, we still have a few boxes scattered about and most of our art isn’t hung up and our windows are still draped with tablecloths instead of proper shades; it’s taken us some time to recover from the exhaustion and trauma of moving and fully settle in. Still, sure enough, our home is coming together. This week we finally bought paint (Benjamin Moore Pure White, a pretty pale gray) (because I am not a cream person) (at all) and last night we finally picked up our ladder from the old place. 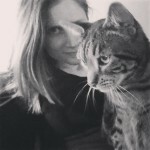 I’d like to get as much done as possible before I go back to work at the end of the month. Nevertheless, if there’s anything I’ve learned from both Apartment Therapy and by living in my last apartment, it’s that it’s okay to not do everything at once. That holding out for things I truly love can be a good thing. In the meantime it’s the peak of summer which means that this girl is stuffing her face with allll the fruits and vegetables from the farmers market. Especially peaches. Maybe it’s because last year we had a peach shortage, but this year’s bounty tastes particularly delicious. 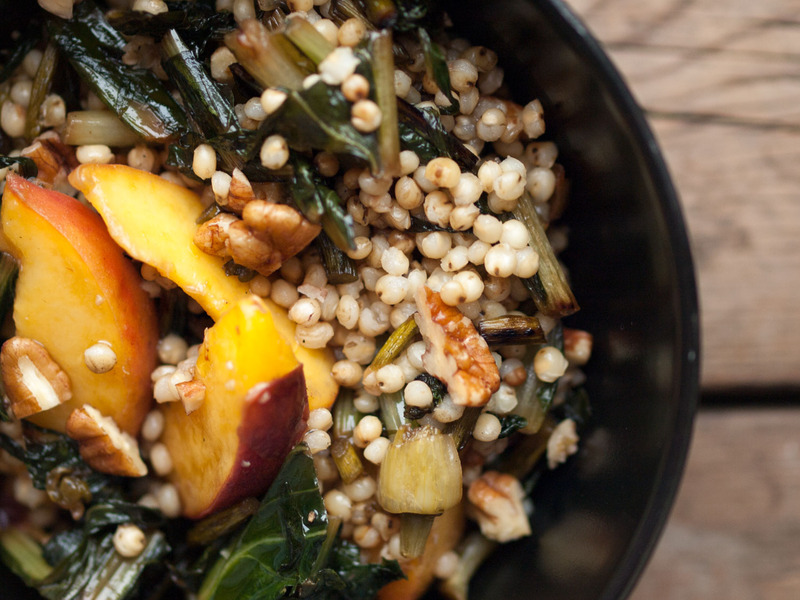 Here I’ve combined them with dandelion greens, garlic scapes, sorghum, pecans, and balsamic vinegar to make a sweet and savory, fruity grain salad. It’s the kind of dish that would mix beautifully with a larger, barbecue style spread, yet is hearty enough on its own to enjoy as a light dinner. *After you wash the dandelion greens, don’t dry– the moisture will help cook them. *To toast the pecans, heat in a pan over medium heat for about 3 minutes, watching closely and stirring frequently. *Because this recipe calls for fresh peaches, for most aesthetically pleasing results I recommend eating this dish right away. 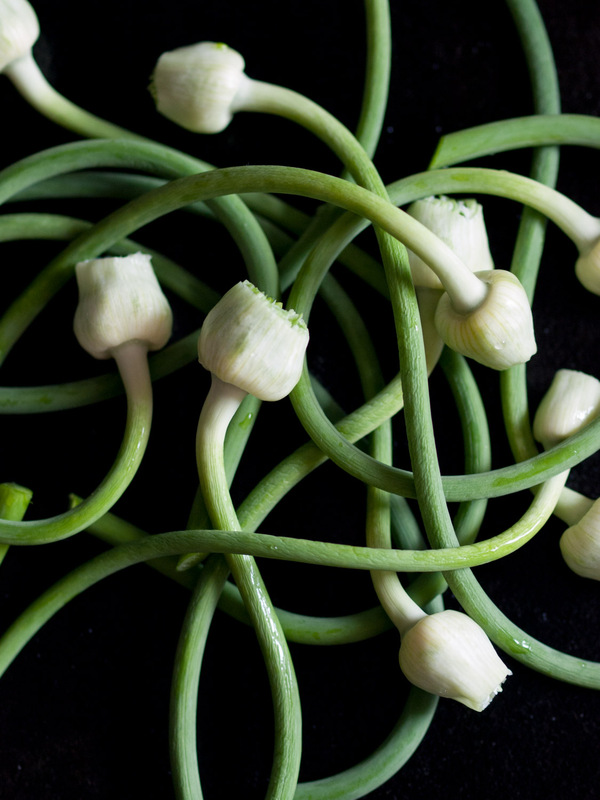 *If you can’t find garlic scapes, feel free to use 1-2 garlic cloves, finely chopped or sliced, instead. The cloves will cook more quickly than the scapes, so take care not to burn. I think a a bit of red onion would also be good. Place sorghum, water/stock, and a drop of olive oil in a saucepan and cook over high heat until boiling. Cover, reduce heat to low, and cook for about 50-60 minutes or until tender but still a little chewy. Drain and let cool. Meanwhile, drizzle some olive oil into a large pan and cook garlic scapes and red pepper flakes over medium low heat for about 4-5 minutes, stirring now and then, until fragrant and a bit golden. I highly recommend using a splatter guard here, especially if cooking in cast iron. A lid, propped open a bit so steam can escape, will also work. Add the dandelion greens and a couple splashes of water to the pan. Cover, turn the heat up to medium, and cook for 10-15 minutes, stirring and adding more water as needed. Turn off the heat and season with half the balsamic vinegar, the agave, and salt and pepper. Let cool. 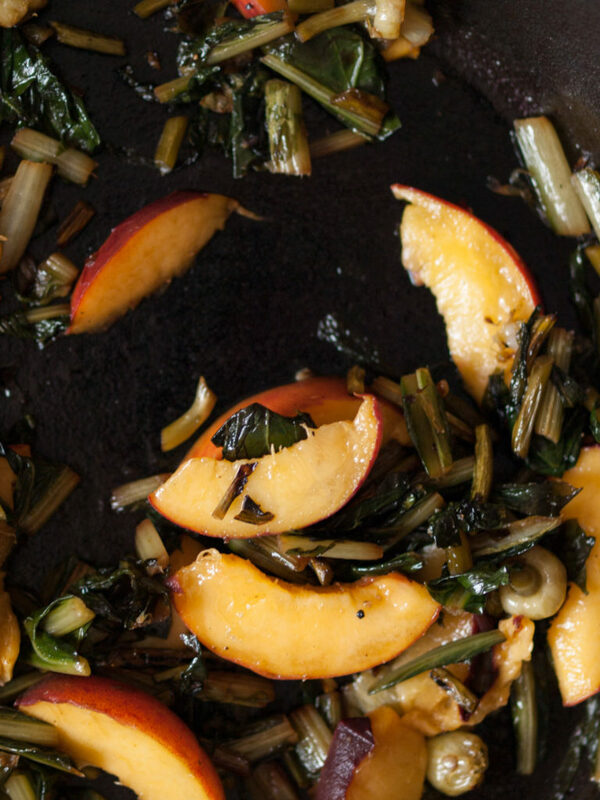 Add the peaches and remaining ½ tsp of balsamic vinegar to the pan. Stir in the cooled sorghum and top with chopped toasted pecans. Wait a few minutes to let the flavors mingle, then taste for seasonings and serve drizzled with a bit more olive oil and balsamic vinegar. This entry was posted in Salads, Sides and tagged gluten-free, vegan on August 2, 2017 by Sarah. Looks and sounds very good. I don’t think I have ever even seen garlic scapes.. How much of a difference would it be to use garlic? I’m interested to try sorghum, to me it means syrup. Thanks. Thank you! You can definitely substitute regular garlic, maybe just 1-2 cloves, though. A little red onion might also be good. I’ll add a note to the recipe. 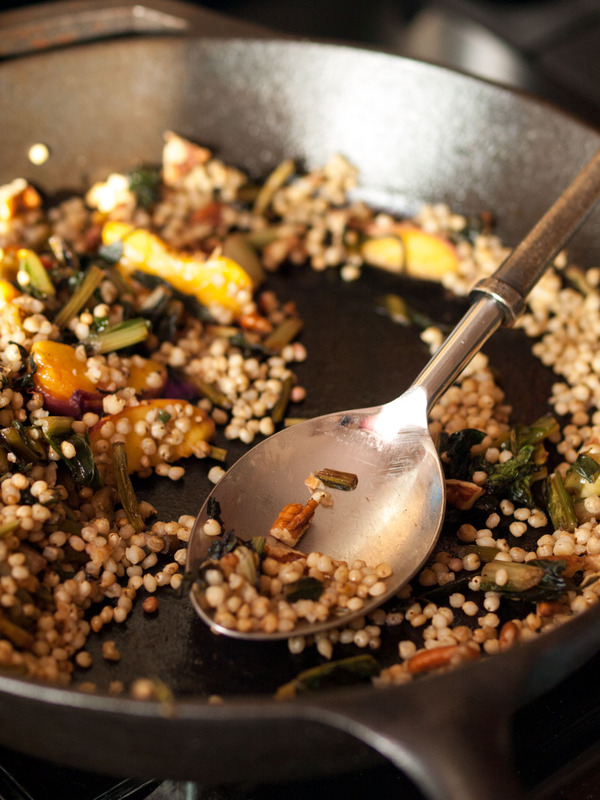 As far as sorghum goes, I think it makes for a good (albeit chewier) GF alternative to things like pearl couscous and farro.